Additionally when you make a purchase or attempt to make a purchase through the Site, we collect certain information from you, including your name, billing address, shipping address, payment information (including credit card numbers, paypal account info, email address, and phone number. We refer to this information as “Order Information”. We may use your personally identifiable information to send you emails from time to time about our services. 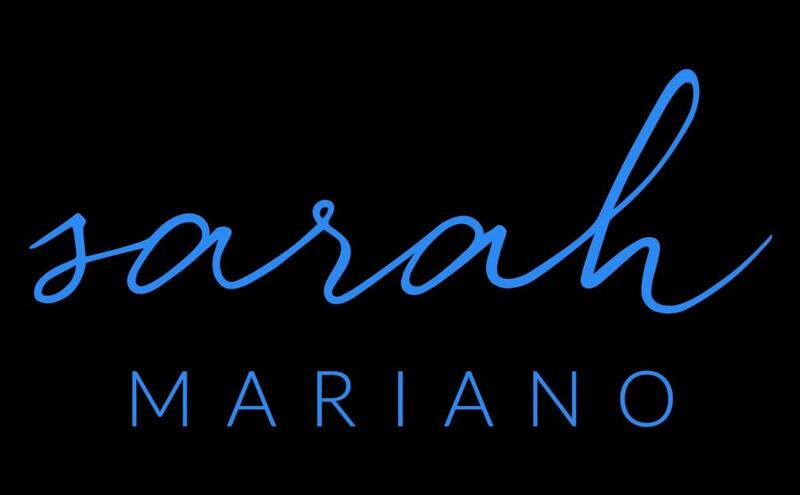 We may transfer your personally identifiable information in connection with the sale or merger or change of control of Sarah Mariano Stretch & Fitness or the division responsible for the Services with which your personally identifiable information is associated. We may share your personally identifiable information to tailor the content and information that we may send or display to you, to offer location customization, and personalized help and instructions, and to otherwise personalize your experiences while using the Website or Content. We may share your personally identifiable information for marketing and promotional purposes. For example, as permitted by applicable law, we and our Third Party partners may use your information, such as your email address, to send you news and newsletters, special offers, and promotions, or to otherwise contact you about products or information we think may interest you, including third party products and services. We also may use the information that we learn about you to assist us in advertising our services on third party websites. We may share your personally identifiable information to better understand how users access and use our Website and Content, both on an aggregated and individualized basis. We may share your personally identifiable information to improve our Website and Content. We may share your personally identifiable information for research and analytical purposes. We may share your personally identifiable information to administer customer programs, administer surveys and questionnaires. We may share your personally identifiable information to comply with applicable legal obligations, including responding to a subpoena or court order. We may share your personally identifiable information in the context of a merger or acquisition, if some or all of our assets are transferred to another company, or as part of a bankruptcy proceeding. We may share your personally identifiable information where we believe it is necessary to investigate, prevent or take action regarding illegal activities, suspected fraud, situations involving potential threats to the safety of any person or violations of any of our Agreements, Terms or this Policy. We may share your personally identifiable information to authenticate your identity. We may share your personally identifiable information to monitor your compliance with any of your agreements with us. We may share your personally identifiable information to collect debts owed to us. We may share your personally identifiable information for other purposes we may inform you about from time-to-time. Please also note that we may transfer your personal information across provincial or national borders to fulfil any of the above purposes, including to service providers located in the United States and other jurisdictions outside of Canada who may be subject to applicable disclosure laws in those jurisdictions. When you access our Service, we may automatically collect non-personally identifiable information from you, such as IP host address, web pages viewed, browser type, operating system, referring service, search information, device type, page views, usage and browsing habits on the Service and similar data. You may offer or provide a comment, image, video or any other submission to us when visiting or interacting with our Website and its Content, which we may collect as Information. We may also aggregate demographic information collected from our users (such as the number of users in a particular geographical location) in a manner which does not identify any one individual. We may also aggregate information collected offline in connection with the Service, obtain non-personally identifiable information from third party sources and develop aggregate information by anonymizing previously collected personally identifiable information. · We reasonably expect that obtaining consent would compromise an investigation or proceeding. Your consent can be express, implied or given through authorized representative such as a lawyer, agent or broker. Consent may be provided orally, in writing, electronically, through inaction (such as when you fail to notify us that you do not wish for your personal information to be collected / used / disclosed for various purposes after you have received notice of those purposes) or otherwise. You may withdraw consent at any time, subject to legal, contractual and other restrictions, provided that you give reasonable notice of withdrawal of consent to us. On receipt of notice of withdrawal of consent we will inform you of the likely consequences of the withdrawal of consent, which may include our inability to provide certain services for which that information is necessary. The security of your personally identifiable information is very important to us. When we collect your personally identifiable information online, we use reasonable efforts to protect it from unauthorized access. However, due to the inherent open nature of the Internet, we cannot guarantee that your personally identifiable information will be completely free from unauthorized access by third parties such as hackers and your use of our Service demonstrates your assumption of this risk. We have put in place reasonable physical, electronic, and managerial procedures to safeguard the information we collect. Your Confidential Information is stored by us internally or through a data management system, compliant to the Personal Information Protection and Electronic Documents Act (PIPEDA). Your Confidential Information will only be accessed by those who help to obtain, manage or store that Information, or who have a legitimate need to know such Confidential Information. Certain third-party service providers, such as payment transaction processors, have their own privacy policies in respect to the information we are required to provide to them for your purchase-related transactions. For these providers, we recommend that you read their privacy policies so you can understand the manner in which your personal information will be handled by these providers. In particular, remember that certain providers may be located in or have facilities that are located in a different jurisdiction than either you or us. So, if you elect to proceed with a transaction that involves the services of a third-party service provider, be aware that your information may become subject to the laws of the jurisdiction(s) in which that service provider or its facilities are located. As a convenience to you, we may provide links to third-party Services from within our Service. We have no responsibility and are not liable for the content and activities of any other individual, company or entity whose Website or materials may be linked to our Website or its Content, and thus we cannot be held liable for the privacy of your information on their website or that you voluntarily share with their website. Please review their privacy policies for guidelines as to how they respectively store, use and protect the privacy of your Confidential Information and Other Information. We are not responsible for the privacy practices or content of these third-party Websites. When you link away from our Service, you do so at your own risk. We have a no spam policy and provide you with the ability to opt-out of our communications by selecting the unsubscribe link at the footer of all e-mails. We are compliant with the Canada’s Anti-Spam Legislation (CASL) of 2014 and will never send out misleading information. We will never sell, rent or share your email address. The Site is not intended for individuals under the age of 18 years old. 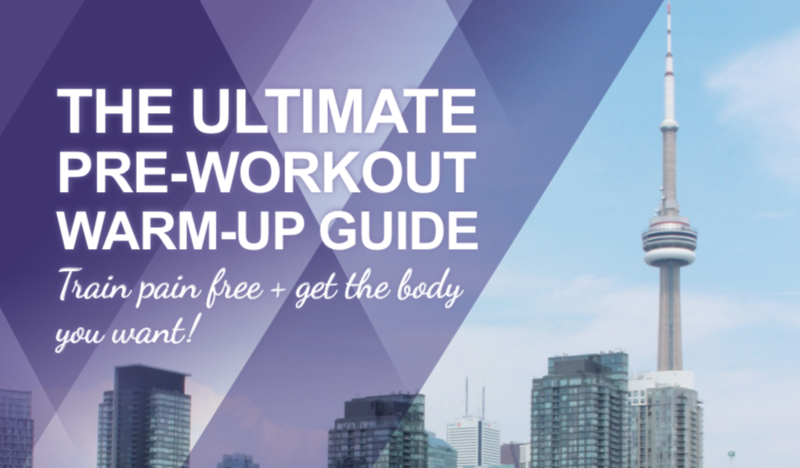 GRAB YOUR FREE WARM-UP GUIDE! A proper “warm-up” routine is important to reduce the risk of injury, and to ensure the proper muscles are firing for the main workout. 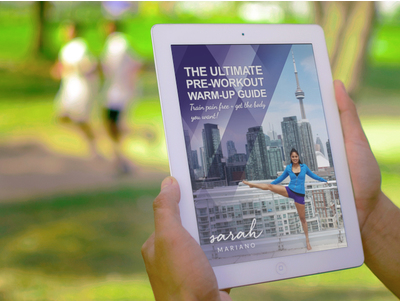 This complete guide offers effective and efficient ways to “warm-up” and activate the body properly and safely.